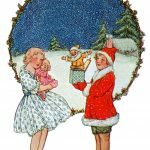 These Christmas Drawings are from my collection of antique postcards. 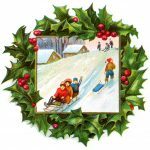 You’ll discover children showing off their gifts, kids sledding, a sweet reindeer surrounded with holly, and more. 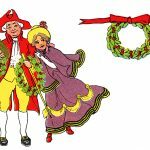 I hope you have fun using these Christmas drawings in your holiday projects. 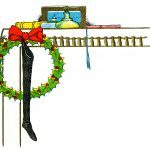 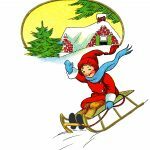 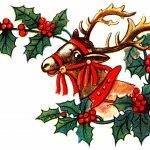 You might also want to drop by the Christmas Art and Christmas Clipart galleries.